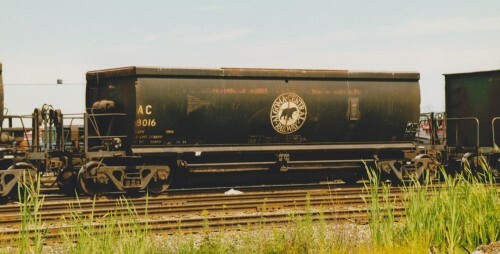 AC 8016 at Steelton yard in August 1997. Photo courtesy Blair Smith. This entry was posted in AC 8001-8100 Hoppers and tagged AC 8001-8100, Freight Car Friday, Hopper, Prototype by Chris van der Heide. Bookmark the permalink.